Teagyn Vallevand, co-founder of Youth For Lateral Kindness, was chosen by a jury of notable Canadians for an 'Everyday Political Citizen' award. Teagyn Vallevand is still kind of surprised. 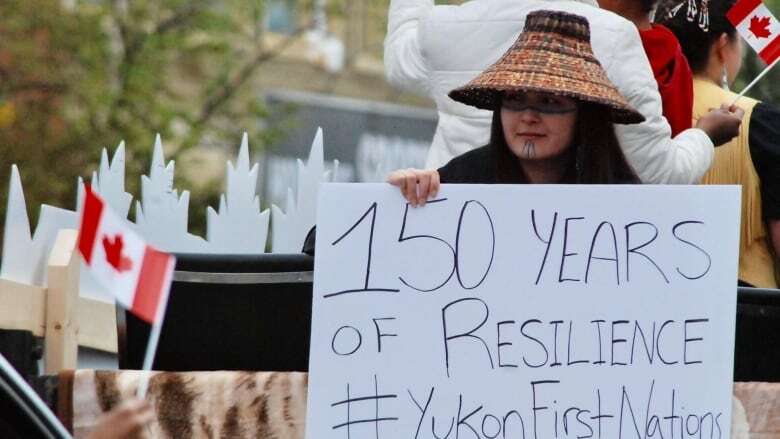 The young First Nations woman from Whitehorse had been nominated for an "Everyday Political Citizen" award, handed out annually by Samara Canada, a non-profit group that works to increase civic engagement. She went to the award ceremony this week with no anxiety about winning. "I was just expecting to go and be able to meet everybody and have a nice time in Toronto, and then go back to Whitehorse," she said. "I honestly wasn't expecting this." Vallevand, a 21-year-old Yukon College student and member of the Kwanlin Dün First Nation, was one of five young people chosen as winners this week. There are normally just two winners, but the jury of notable Canadians — including Margaret Atwood, Preston Manning and Rick Mercer — just couldn't narrow it down. "It makes me feel really good about the work that I do," Vallevand said. She was nominated by Yukon MP Larry Bagnell, who praised Vallevand's work in co-founding Youth For Lateral Kindness, an organization that facilitates workshops aimed at preventing lateral violence in Indigenous communities. Lateral violence is often described as abuse directed at one's peers. In Indigenous communities, it is often attributed to a history of colonialism, oppression, and intergenerational trauma. Youth For Lateral Kindness also conducts "blanket exercise" workshops. The blanket exercise is used as a way to teach Indigenous history and foster understanding of the impacts of colonialism. Vallevand says the Samara award shows that she's on the right path with her work and it inspires her to keep going. "It definitely reinforces the idea that we are impacting our communities, that we are creating the change that we want to see within our communities — that the work we're doing is important work," she said. "We just kind of do the work — we don't expect to be recognized for it. So it just feels really good."